If you are thinking about upgrading your Classic vehicle with disc brakes These combination-proportioning valves are based on the popular AC DELCO 172-1353 (disc-drum) and 172-1361 (disc-disc) valves. When upgrading your vehicle from drum to disc, these small items are a must. These components ensure proper fluid transfer and contain a residual pressure valve for proper braking feel. 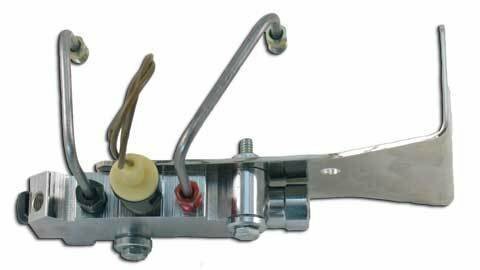 Best believe this Chrome proportioning valve is far superior to most others on the market. Ready to install and run!